We are pleased to introduce Justin Havre to our Blog which will expand our subject matter on buildings in general. But if you think that his blogs are going to be all about real estate – think again, as Justin is outside the box in his writings. 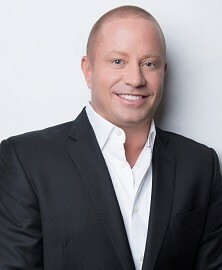 Justin Havre brought his clientele to RE/MAX in Calgary in 2014. His network has expanded to include Edmonton and Kelowna; however his true customer reach is through his new age marketing skills through new and traditional media plus a high level of personal contact and exceptional customer service. Justin Havre is an industry leader in the digital age and backs up his uncanny use of new technologies with the ability to find and retain exceptional people. Following the tremendous success of Justin Havre’s widely publicized endorsement by Barbara Corcoran of ABC’s Shark Tank comes another distinction – exclusive recommendation from Rascal Flatts’ lead singer Gary LeVox. The message provided by LeVox as part of the endorsement encompasses the music and lyrics of the Rascal Flatt’s hit “I’m Moving On”, 2002 Song of the Year at the 38th annual Academy of Country Music Awards. Recent achievements include recognition in the RE/MAX Hall of Fame, the RE/MAX Chairman’s Club, RE/MAX Diamond & RE/MAX Diamond Team Award, and the Top Children’s Miracle Network Contributor RE/MAX First, Justin and his team was named #1 RE/MAX Team in Western Canada for production in 2016, #1 RE/MAX Team in Alberta for closed transactions, #5 RE/MAX Team in all of Canada and ranked #16 RE/MAX Team in the entire world out of almost 112,000 agents in the RE/MAX network for their sales achievements in 2016, in one of the most challenging sales environments due to the economic climate in Alberta. In 2016, Justin and his team helped their clients facilitate a sale every 12 hours and with every single sale they are a part of, they make a donation of their commissions to the Children Miracle Network which supports the local Children’s Hospital in Calgary.